Microsoft VR for Windows 10 announced for just $299. With the new Creator’s Update, Windows 10 will now support Virtual Reality as well as Augmented Reality (Hololens). 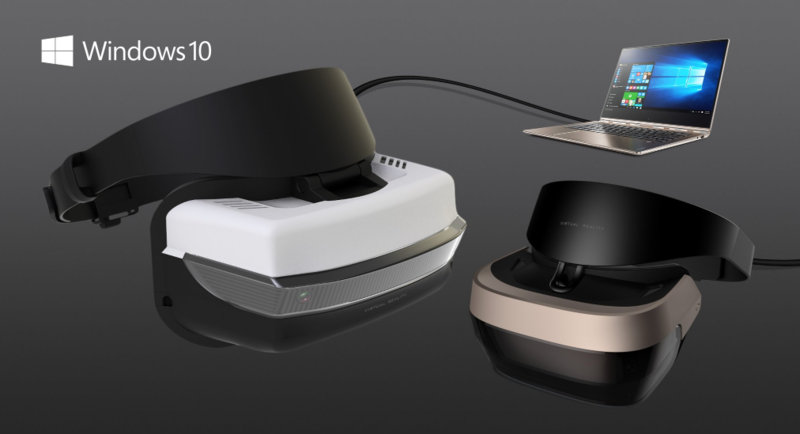 Now OEMs can make VR experiences for Windows 10 as the platform for their devices and leverage Microsoft’s Windows Holographic SKU to achieve this. Virtual Reality support will require virtual reality hardware, and Microsoft has also announced that their partners like Dell, Acer, HP and more will be making Windows 10 VR headsets. Microsoft confirms that VR will cost $299, significantly undercutting more expensive VR headsets like the HTC Vive and the Oculus Rift.